Who Said Water Helps In Putting Off Fire? Who said Water Helps in Putting Off Fire? 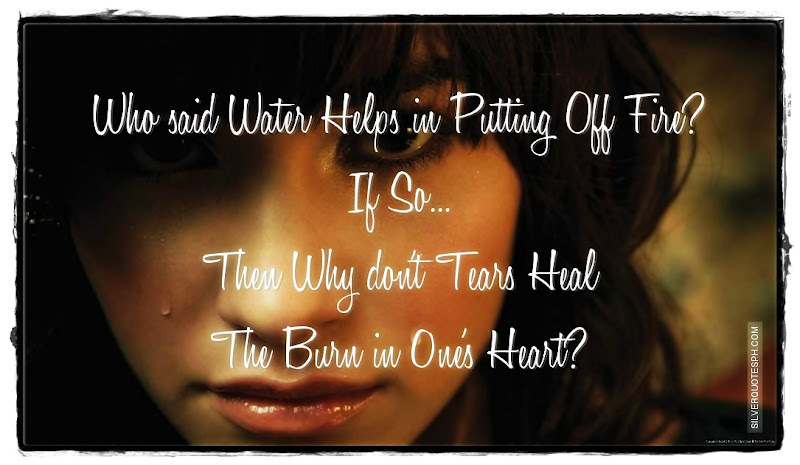 If So... Then Why don't Tears Heal The Burn in 0ne's Heart?